The Fravolini family tradition is well connected with the city of Orvieto. thanks to the Pope. Its heritage and history, as well as a large number of archaeological sites and monuments, make it a unique place to visit. 750th anniversary of the Bolsena Miracle. more amazing attractions. Everything can be easily reached by foot in a few minutes! 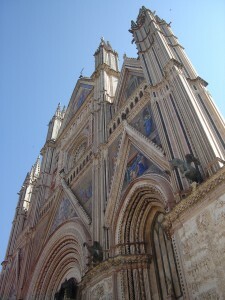 what to do in Orvieto, please rever to : www.orvietoviva.com/en/. event that exalts the amazing culinary tradition of Orvieto, and the Umbria Folk-Festival during the Summer. Orvieto and offer a unique scenario along the streets and squares of the city.